Professor Jonathan Strefford is Professor in Cancer Molecular Genetics within Medicine at the University of Southampton. Professor Jonathan Strefford is a Professor in Cancer Molecular Genetics in the Faculty of Medicine at the University of Southampton. 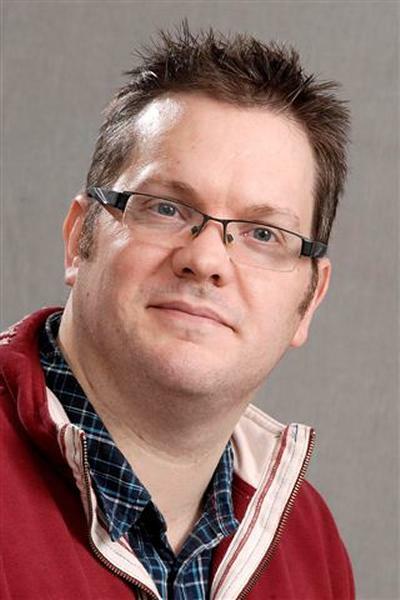 After two years NHS training in clinical cytogenetics, Jon started his postgraduate education with a Ph.D. in Cancer Genetics and Genetic Toxicology at the University of Wales, Swansea. In 2000, he started his postdoctoral careers, working with Professor Bryan Young at the Cancer Research UK Medical Oncology Laboratory at St Bartholomew’s Hospital, London. In 2002, he received a Lectureship from Queen Mary and Westfield College, University of London, prior to a move to the University of Southampton. In 2008, after four years working with Professor Christine Harrison, Jon was awarded a Personal Fellowship from Leukaemia and Lymphoma Research and a Senior Lectureship within the Faculty of Medicine. Jon currently has a research group working on the genetic analysis of chronic lymphocytic leukaemia (CLL) and splenic marginal zone lymphoma (SMZL). To facilitate these research objectives, Professor Strefford has attracted more than £4.5 million in grant funding from national and international research agencies and charities. He has spoken at international meetings such as the American Society of Hematology and the American Association for Cancer Research. Professor Strefford acts as an editorial board member for a number of international scientific journals, and on a number of national and international scientific committees. Professor Strefford has extensive experience as a consultant for commercial companies, facilitating the development of FISH and microarray products. He also has strong links with the pharmaceutical industry and acts as a consultant and contract research provider for a series of large international clinical trials. Dr Strefford’s Linkedin and ResearchGate profiles. Professor Strefford’s research has focused on the identification and characterization of genomic defects in cancer cells. Genomic abnormalities are the hallmark of human cancer and can aid in appropriate patient management. The presence of these genomic alterations can have utility as Biomarkers by providing guidance on the most appropriate treatment regime and identify those patients likely to develop progressive disease or those that might exhibit limited response to treatment. Biomarker Discovery: Using whole genome analysis for copy number changes and sequence mutations to screen clinically-informative leukaemia and lymphoma cohorts. Biomarker Validation: Using target molecular and NGS technologies to determine the clinical impact of genomic lesions on the patient survival and response to treatment, particularly in the clinical trials context. Functional Analysis: Using in vitro and in vivo model systems we assess the role of novel genetic lesions in the pathophysiology of B-cell neoplams. Manuscripts review including - Annals of Clinical Biochemistry, Anticancer Research, Archives of Medical Research, Blood, BioEssays, Bioinformatics, Biotechniques, BMC Gastroenterology, BMC Medical Genomics, BMC Research Notes, British Journal of Cancer, British Journal of Haematology, Cancer Genomics and Proteomics, Cancer Genetics and Cytogenetics, Cancer Therapy, Cancer Therapy and Molecular Biology, Critical Reviews in Oncogenesis, Cytogenetics and Genome Research, Genes Chromosome and Cancer, Heamatologica, Hematological Oncology, Human Molecular Genetics, Journal of Carcinogenesis and Mutagenesis, Journal of Medical Genetics, Journal of Pathology, Laboratory Medicine, Leukemia, Leukemia and Lymphoma, Leukemia Research, Molecular Cytogenetics, Molecular Genetics, Oncogene. Grant review for - Leukaemia and Lymphoma Research, Medical Research Council (Project grants and Clinical Research Training Fellowship awards), the Kay Kendell Leukaemia Fund (Project grants and Clinical Research Training Fellowship awards), Cancer Research UK, the Association for International Cancer Research (AICR) and CHILDREN with LEUKAEMIA. Strefford, J. C., An, Q., & Harrison, C. J. (2009). Modeling the molecular consequences of unbalanced translocation in cancer; lessons from leukemia. Cell Cycle, 8(14), 2175-2184. An, Q., Wright, S. L., Konn, Z. J., Moorman, A. V., Harrison, C. J., & Strefford, J. C. (2007). Disruption of PAX5 in patients with acute lymphoblastic leukaemia and dicentric chromosomes. Journal of Medical Genetics, 44, pp.S32. Strefford, J., Worley, H., Van Delft, F., Robinson, H., Barber, K., Saha, V., ... Harrison, C. (2007). Genomic and expression profiling defines the molecular features of intrachromosomal amplification of chromosome 21 in acute lymphoblastic leukemia. Cellular Oncology, 29(2), 160-161. Strefford, J., Worley, H., Barber, K. J., Wright, S. L., Moorman, A. V., Case, M., ... Harrison, C. J. (2007). Genomic profiling reveals multiple genetic targets in ETV6-RUNX1 positive acute lymphoblastic leukaemia (ALL). Journal of Medical Genetics, 44, pp.S33. Harrison, C. J., Barber, K., Broadfield, Z., Stewart, A., Wright, S., Martineau, M., ... Moorman, A. V. (2006). Cytogenetic classification of T lineage acute lymphoblastic leukaemia: multiple partners of BCL11B and other novel rearrangements. Blood, 108(11), p.584A. Strefford, J. C., Worley, H., Barber, K., Moorman, A. V., & Harrison, C. J. (2006). Genome complexity in patients with acute lymphoblastic leukaemia revealed by array-based comparative genomic hybridization. Blood, 108(11), 584A-584A. Robinson, H. M., Harrison, C. J., Selzer, R., van Delft, F., & Strefford, J. C. (2005). A breakage-fusion-bridge cycle generated by telomeric loss may underlie the dup(21q) of acute lymphoblastic leukemia. Blood, 106(11), p.797A. Dyer, M. J. S., Akasaka, T., Balasas, T., Russell, L., Sugimoto, K-J., Majid, A., ... Siebert, R. (2005). Involvement of the CEBP gene family in four IGH@ chromosomal translocations in B-cell precursor acute lymphoblastic leukemia (BCP-ALL). Blood, 106(11), p.797A. Strefford, J., Griffiths, M. J., Ross, F. M., & Harrision, C. J. (2004). Comparative genomic hybridisation onto array slides reveals specific DNA copy number changes in acute lymphoblastic leukaemia (ALL). Journal of Medical Genetics, 41, pp.S22. Faculty of Medicine PhD Programme. Internal examiner, PhD supervisor, project supervisor and marker, lecturer. University of Southampton Inter-Professional Common Learning. Facilitator. University of Southampton Bachelor of Medicine BM4. Facilitator.